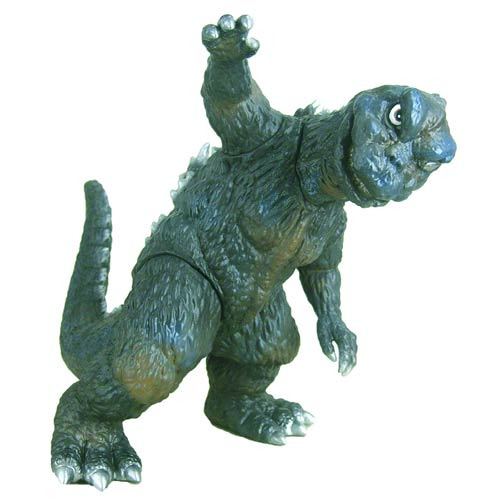 This Godzilla Vinyl Wars Godzilla vs. Hedorah Godzilla Sofubi Vinyl Figure from CCP is a handcrafted, hand-painted figure that deserves a place of honor in your collection. Godzilla: Vinyl Wars is a collaboration between Japan's classic sofubi manufacturers and cutting-edge toy maker Medicom Toy. Each release is a reproduction of a classic Toho sofubi from the 1960s through today, legitimately released for Western collectors for the first time ever. These handcrafted, hand-painted figures inspired the designer toy movement, and should hold a place of high honor in your collection.